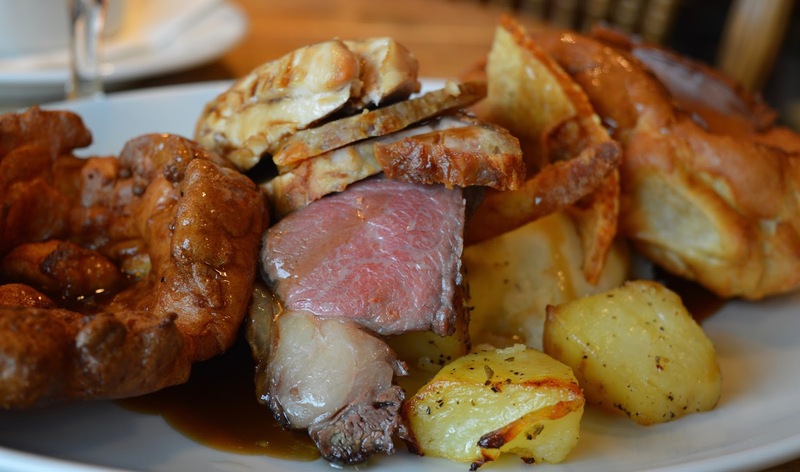 After years of working every Sunday, I still pinch myself that I am now free to do as I please every Sunday and delighted that I now actually get to enjoy Sunday lunch every week. 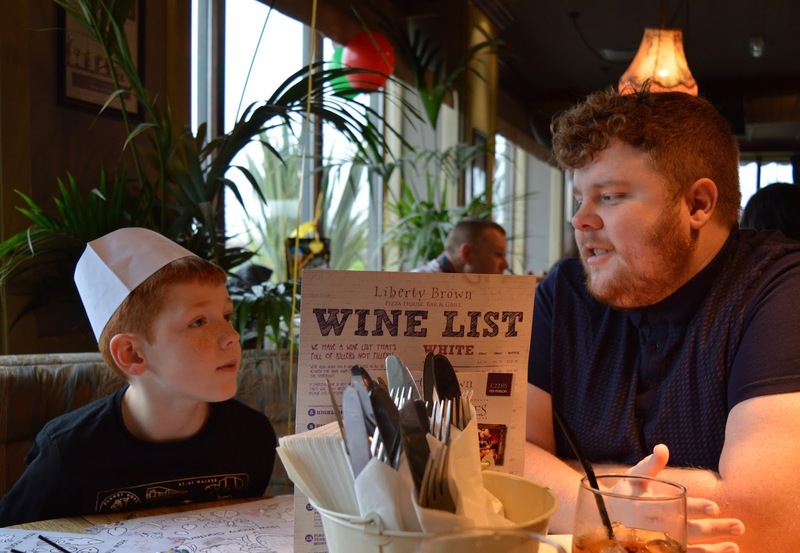 I am always looking for new places to visit with the family and whenever I ask on my Facebook page for recommendations, Liberty Brown in Sunderland is a place that has popped up time and time again. I was therefore delighted to be invited along last week and although my husband took some persuading to visit the 'other side of the water', Liberty Brown was really easy to get to and just a 5 minute drive from the Tyne Tunnel. Our lunch reservation was for 1pm and we received a very warm welcome. 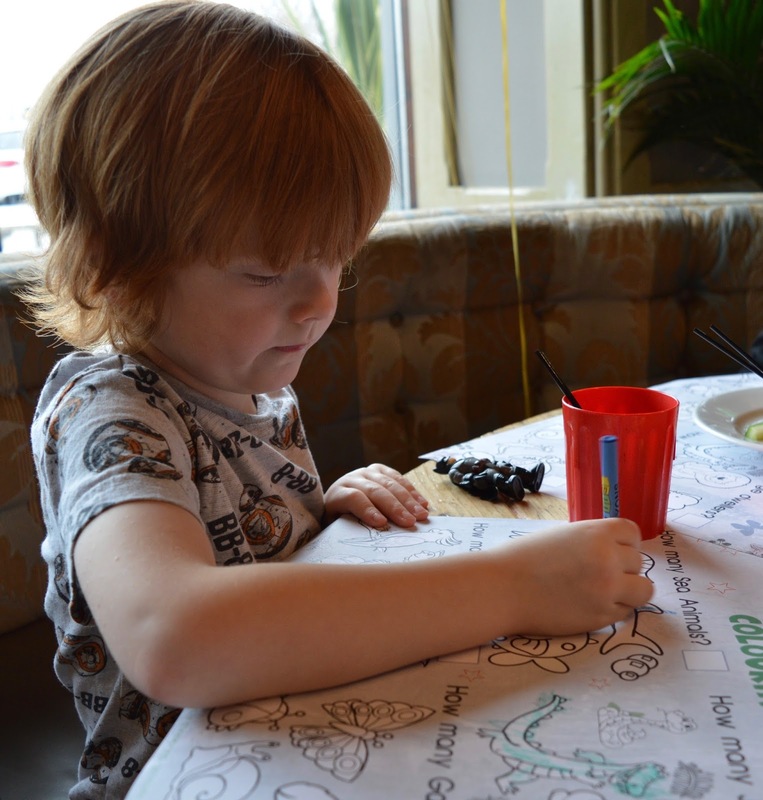 First impressions were good with large booth style seating, balloons and colouring sheets brought to our table and prompt, friendly service. Heidi had her eye on the children's corner where there was a toy box full of toys and Tinkerbell was sitting reading all of the children stories! Fab! There was free face painting going on too, with a well organised system where each child was given a numbered sticker and Tinkerbell would come and find them when it was their turn so no waiting in line forever. 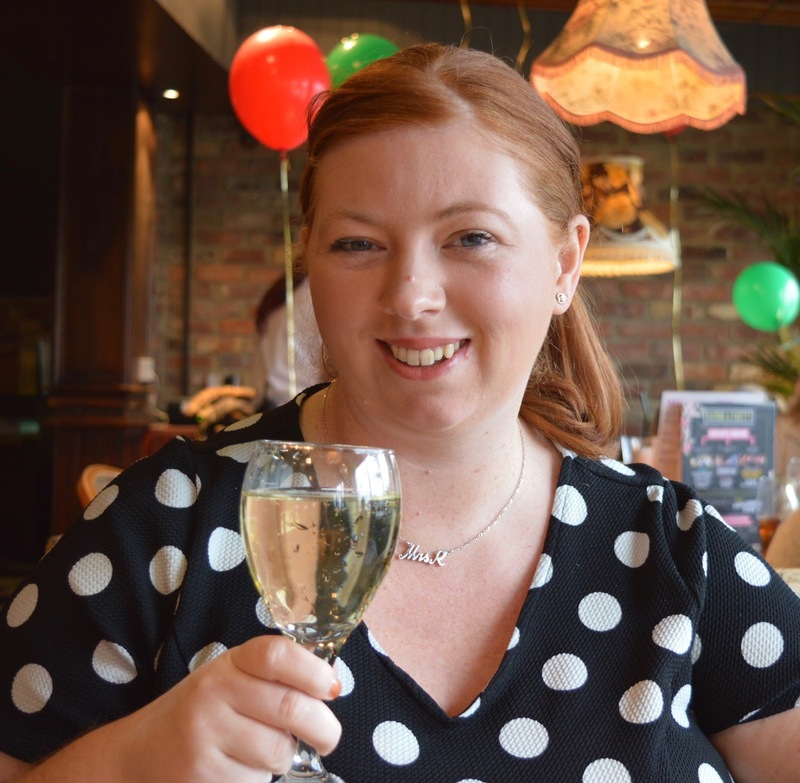 I was happy that the kids was happy and ordered myself a large glass of wine! 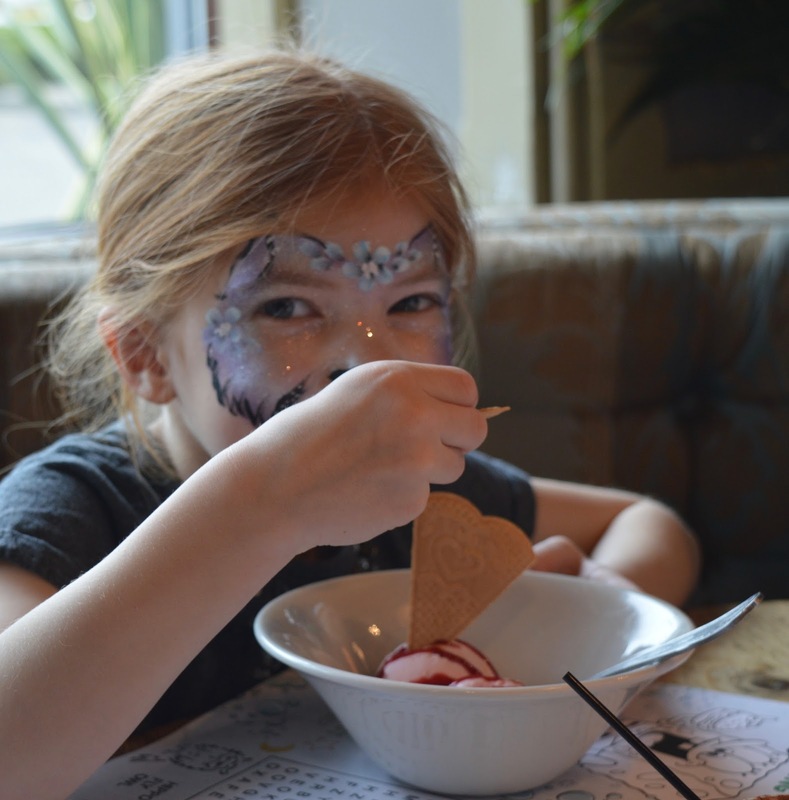 It's hard to describe the atmosphere at Liberty Brown - it almost feels as if you are at a birthday party, everyone is happy and having fun. 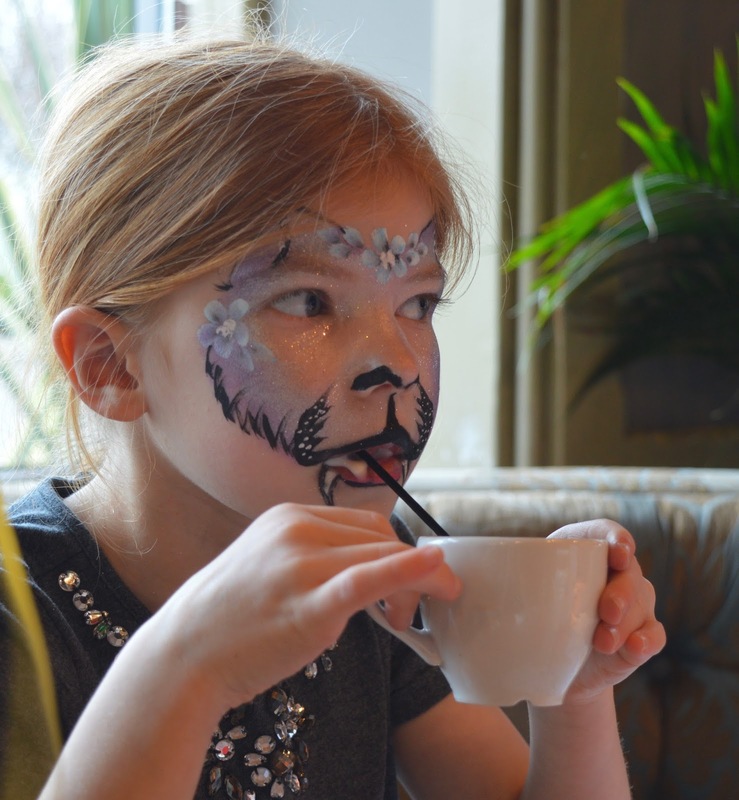 The children's menu is priced at £7.95 on a Sunday which at first glance does seem pricey, however when you consider what you receive for your money, the value is superb. 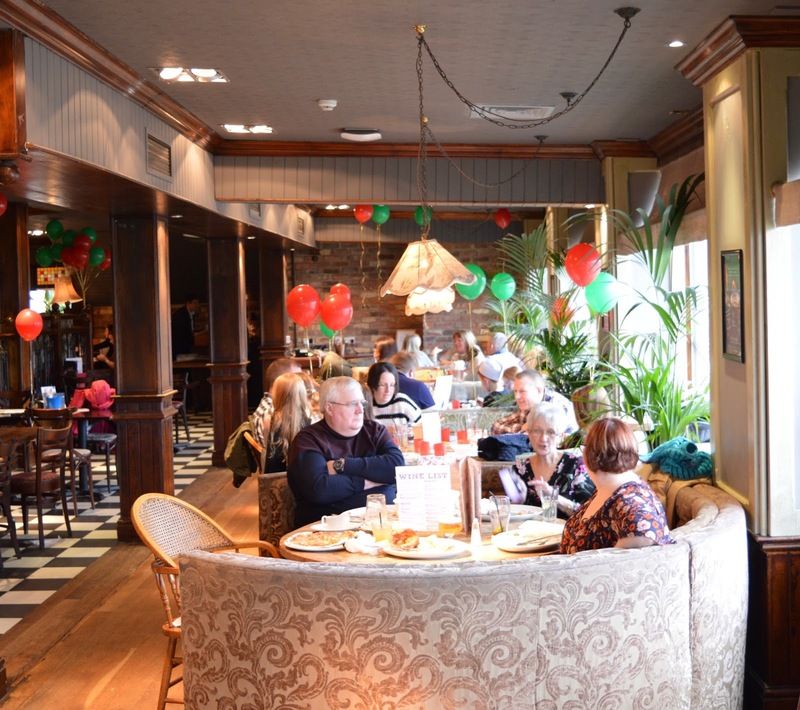 £7.95 includes 3 courses, a soft drink, a bambinocino, free face painting and entertainment. 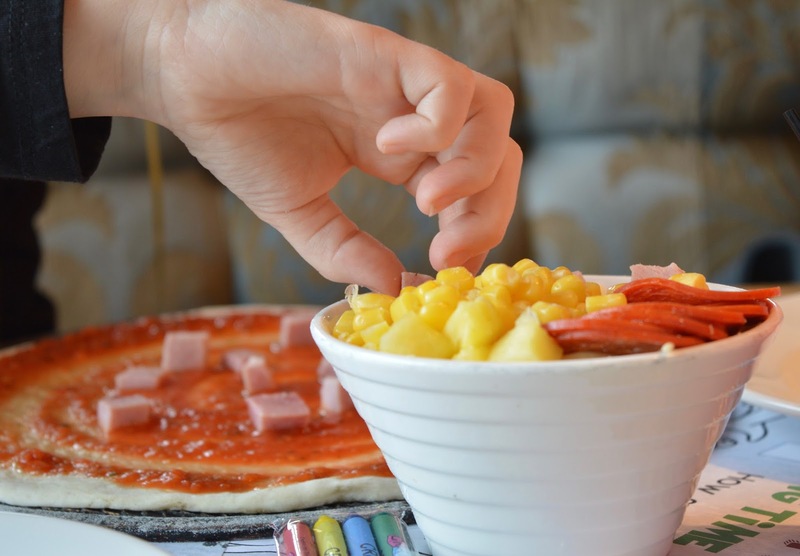 To start, the children can choose dough balls and vegetable sticks or soup. 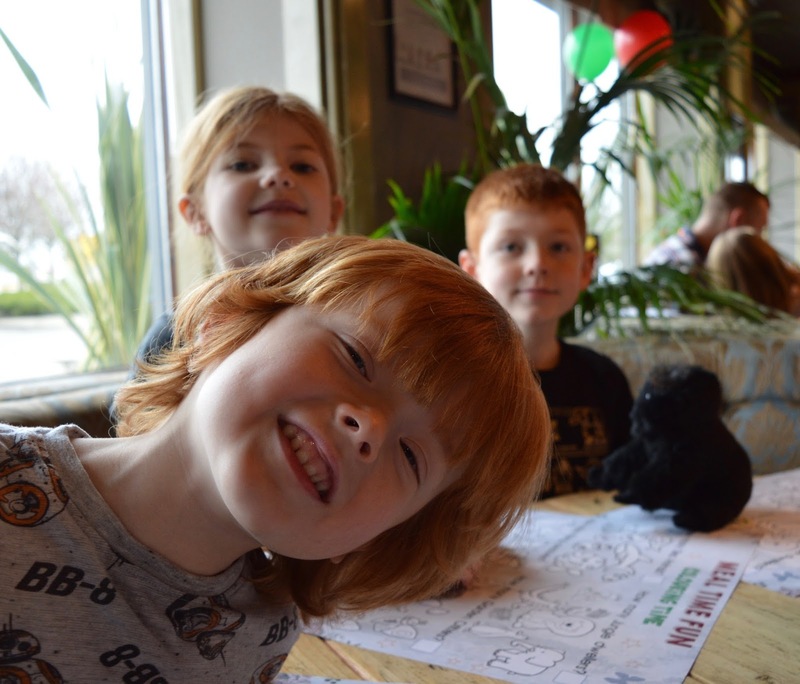 Harry, Heidi and Jack all decided on the dough balls and I was impressed that they were brought to our table straight away. 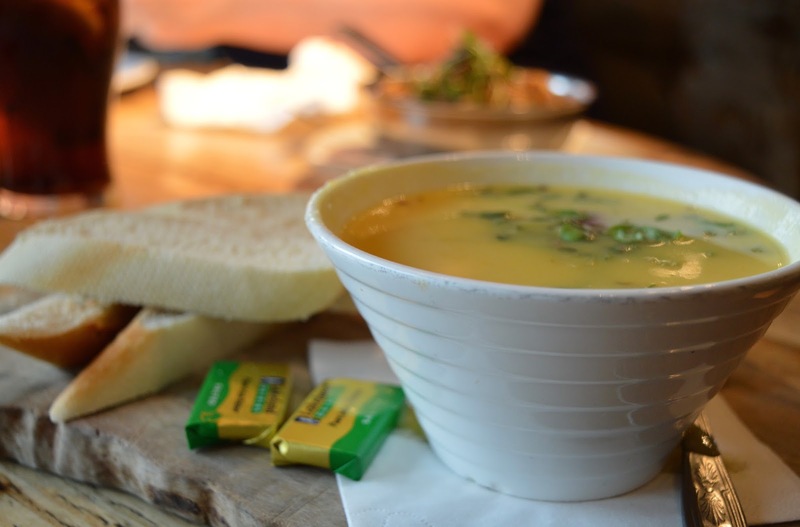 When our server mentioned that soup of the day was spiced parsnip, I didn't look at any of the other started options and promptly ordered a bowl. Priced at £4.95 it was the only disappointment of our meal and I wouldn't order again. It was very watery and lacked any real flavour. Boooo! I wish I'd spotted the Tempura Prawns or Fresh Mussels instead. 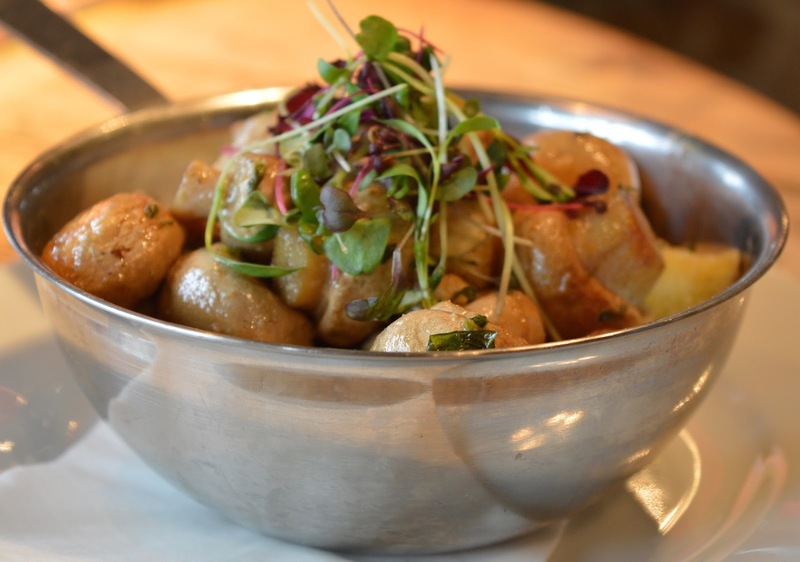 Steve opted for the Garlic Mushrooms (also £4.95) which he thoroughly enjoyed and would definitely order again. 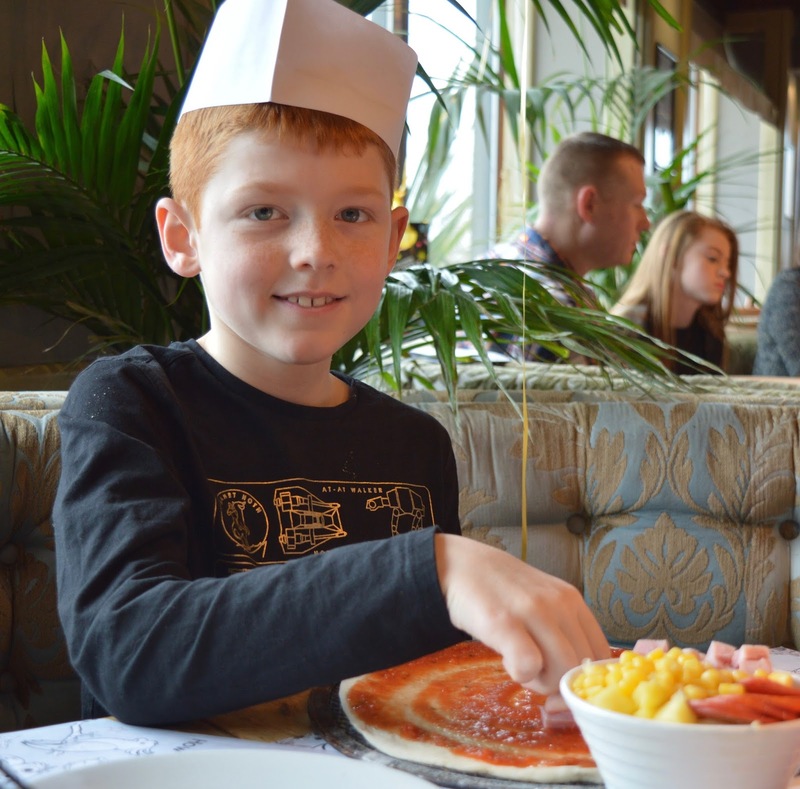 One of the options on the children's menu is to make your own pizza and as it's Harry's favourite food he of course had to give it a go. 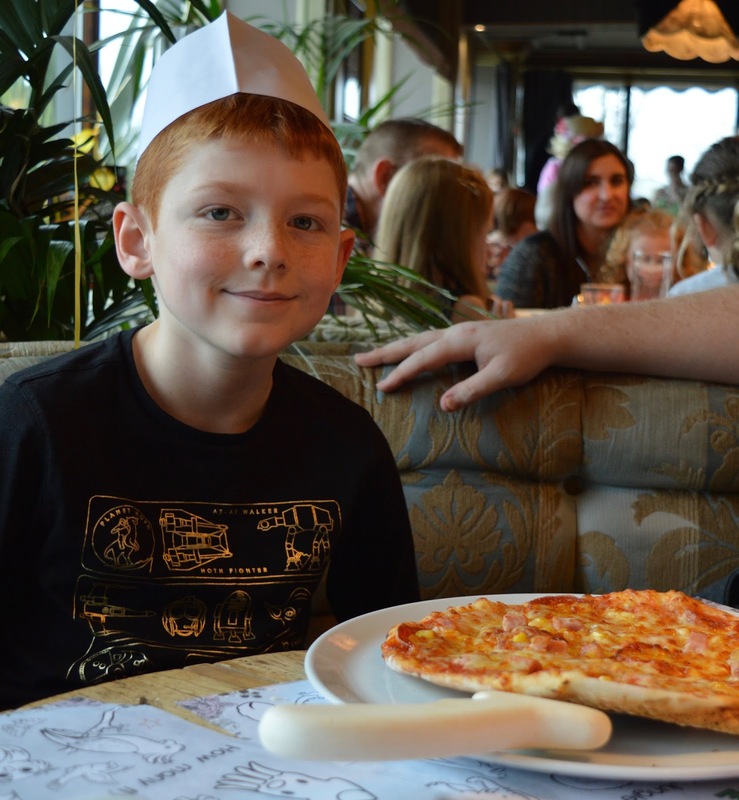 He was given his very own chefs hat and toppings to create his own masterpiece. Harry was really impressed with his pizza as were we - it honestly looked delicious and when we visit again I think we may order pizzas all round. 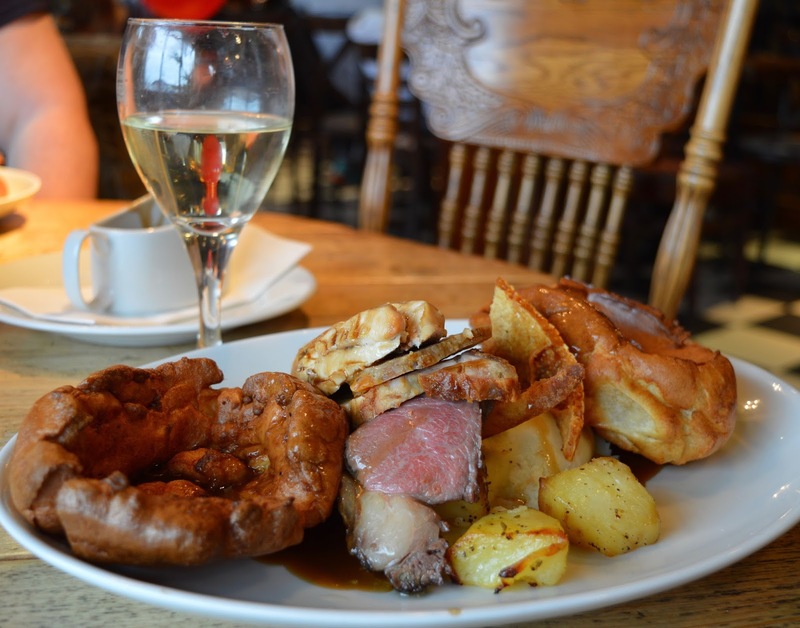 Sunday lunch is extremely reasonably priced at £9.95 for most options including locally sourced 16 hour slow cooked beef or lamb shoulder. 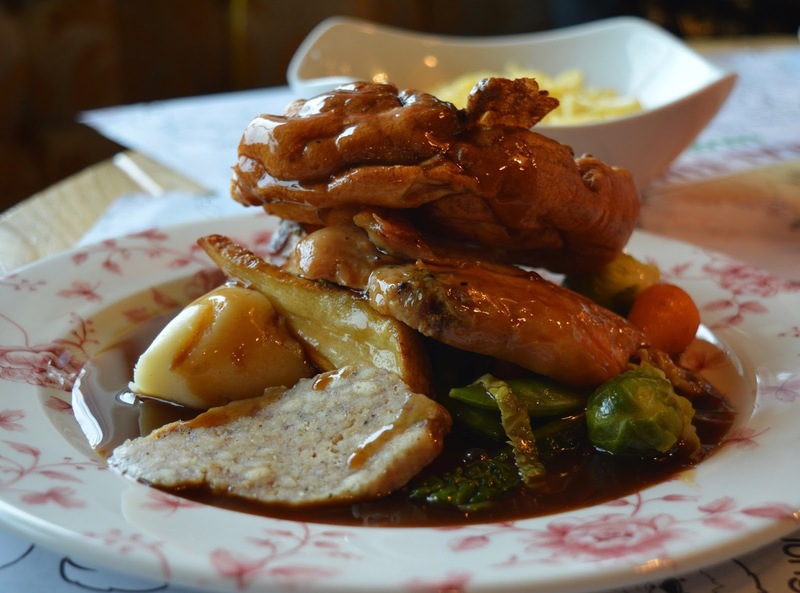 We couldn't resist the Sunday trio which featured Pork Loin, Succulent Chicken and tender Beef (cooked to our liking - we requested pink) for £12.95. Lunch was served with two homemade yorkshire puddings, crispy roast potatoes, buttery mash, a selection of vegetables and an extra jug of thick gravy. It was honestly superb. Jack loves a roast dinner and we were very impressed with his large portion - again all homemade. He thoroughly enjoyed it all. Even the sprouts! 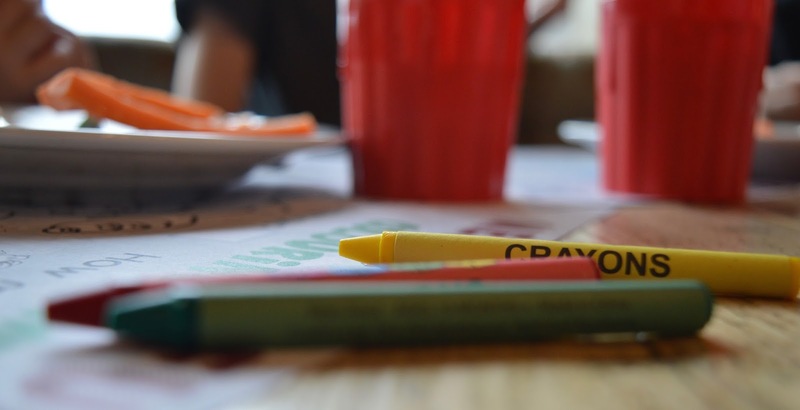 The free kid's club at Liberty Brown was fantastic and something that would really make us visit time and time again. 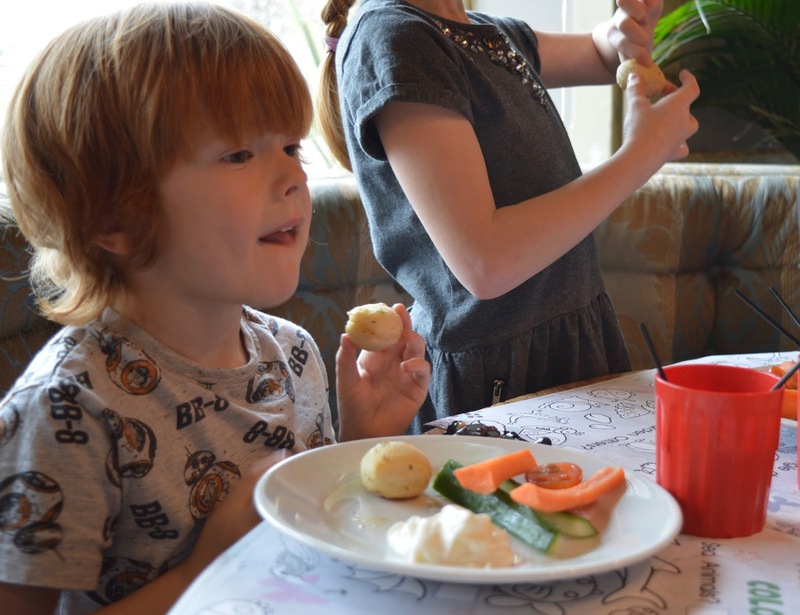 Not having to worry about keeping the kids entertained during a three course lunch is every parents dream come true! 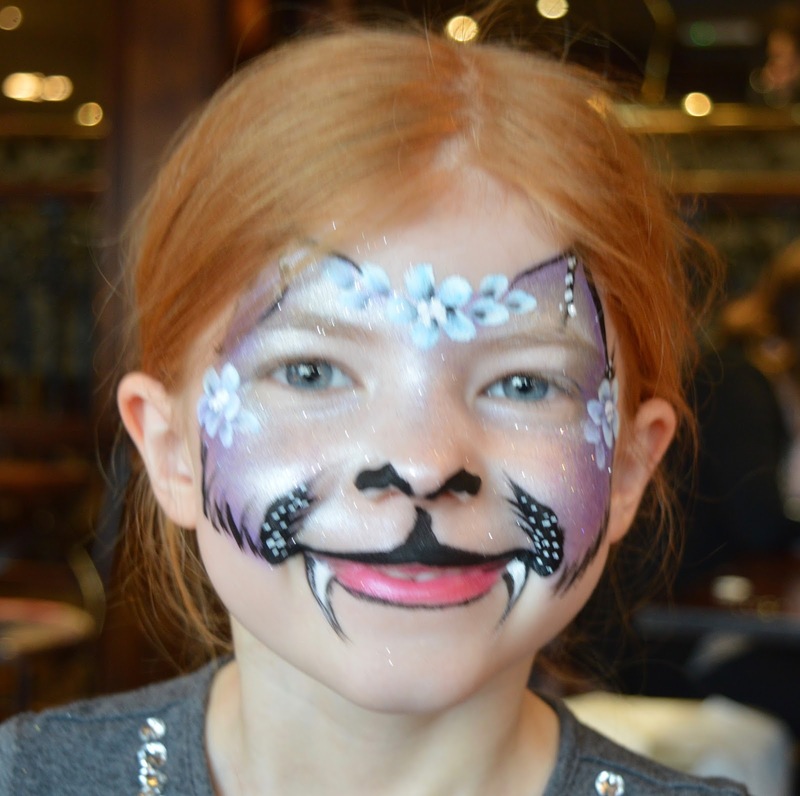 As well as Tinkerbell and the toy corner, a different character visits Liberty Brown every Sunday - it could be a Bat Hero, Princess or American Captain maybe? Today we were lucky enough to be joined by Rapunzel. 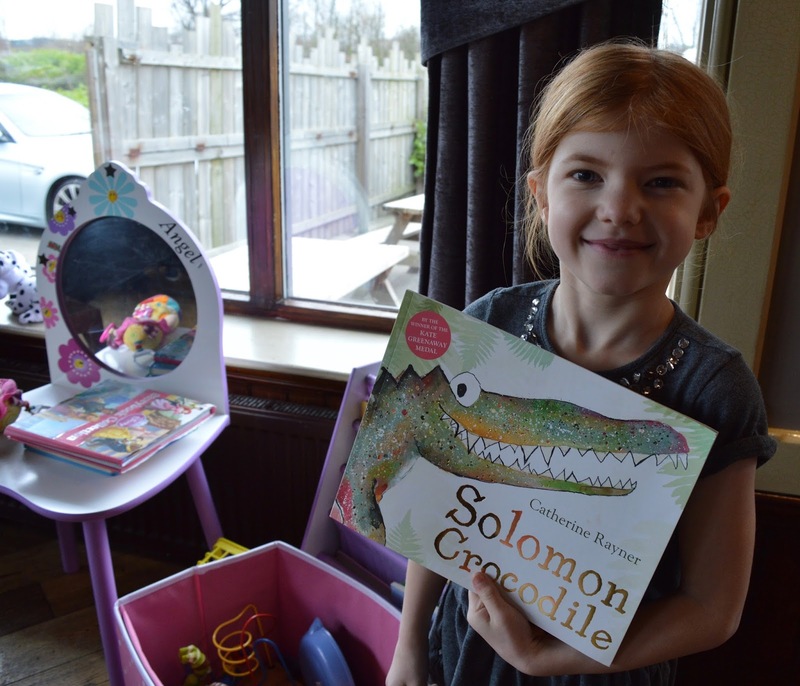 You can check Liberty Brown's Facebook page to find out who will be visiting next. Rapunzel entertained Heidi and Jack with Princess school, singing, dancing and story time and the children were fine to come and go as they please. 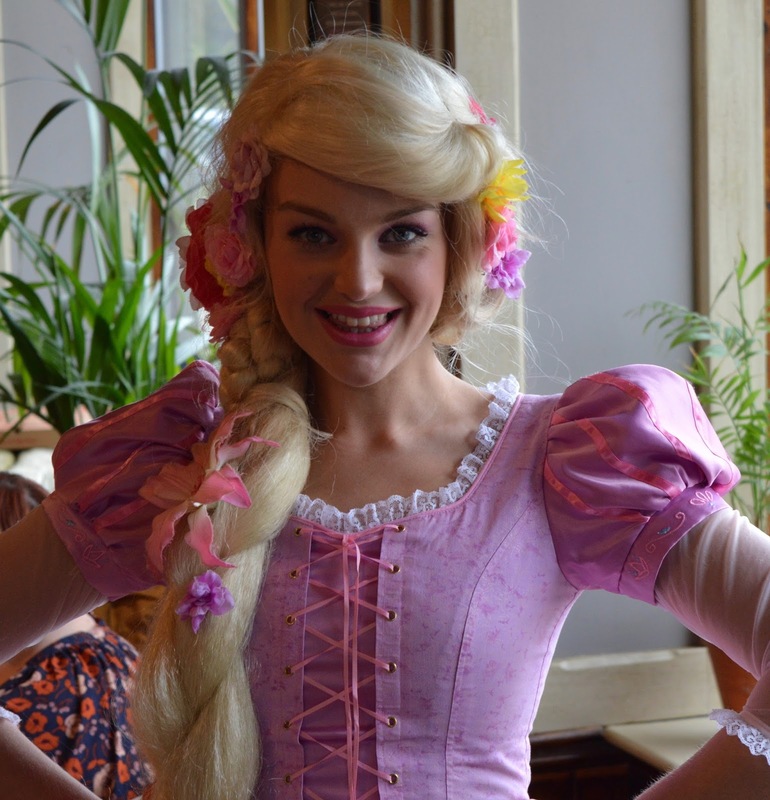 Rapunzel was really lovely and had plenty of time for all of the children and to have a chat with everyone. 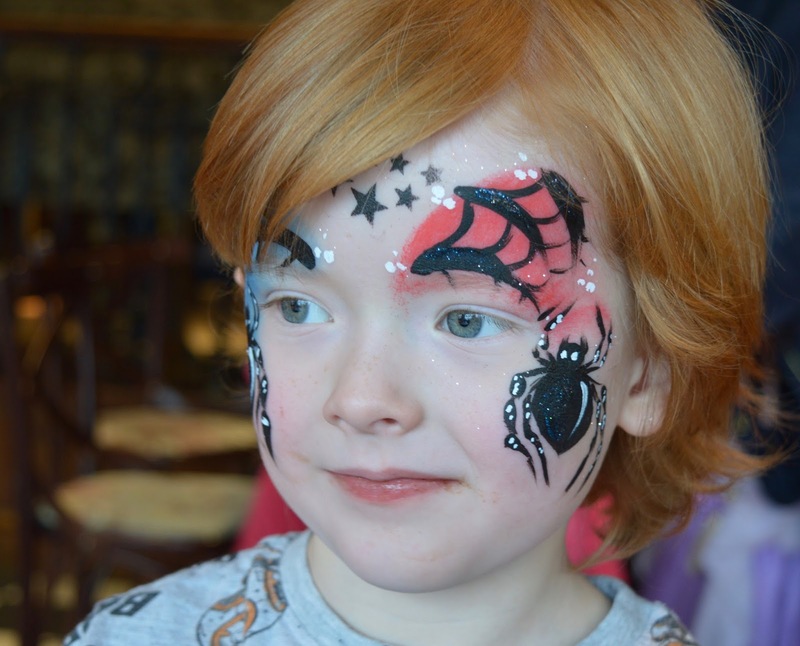 The face painting was also superb - I was expecting it to be a little bit rushed with it being free however I was very impressed with the results and Heidi and Jack were delighted. I honestly can't believe it was free! Sometimes when we eat out with the kids I don't stay for dessert as I want to be in and out or are worried by the time dessert arrives they will start playing up. 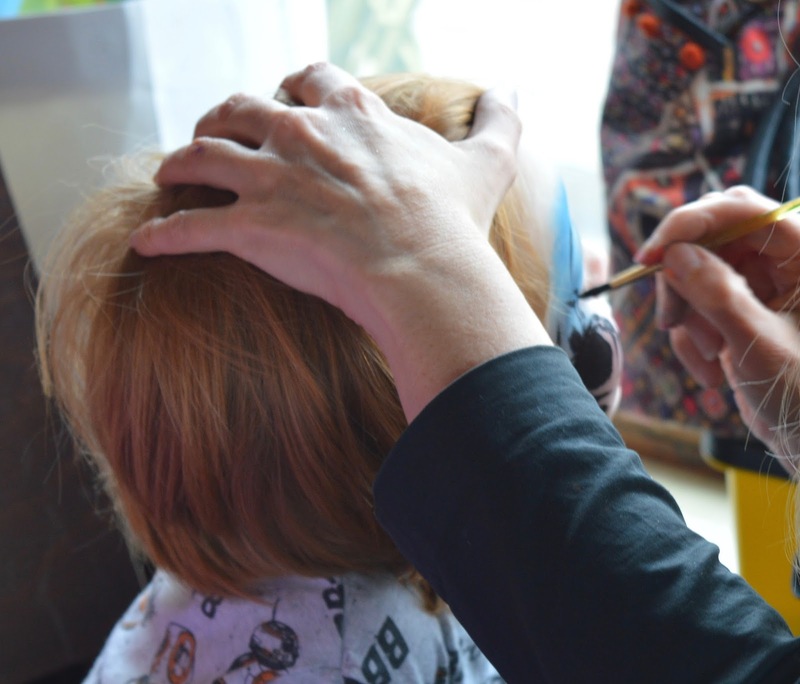 This was absolutely not the case at Liberty Brown - we were so relaxed and the kids were happy we could have stayed all afternoon! The children were given a complimentary bambinocino (warm milk with chocolate sprinkles) and decided to choose ice cream and cookies from the children's menu. I was very tempted with dessert however after an epic Sunday roast there was just no room! 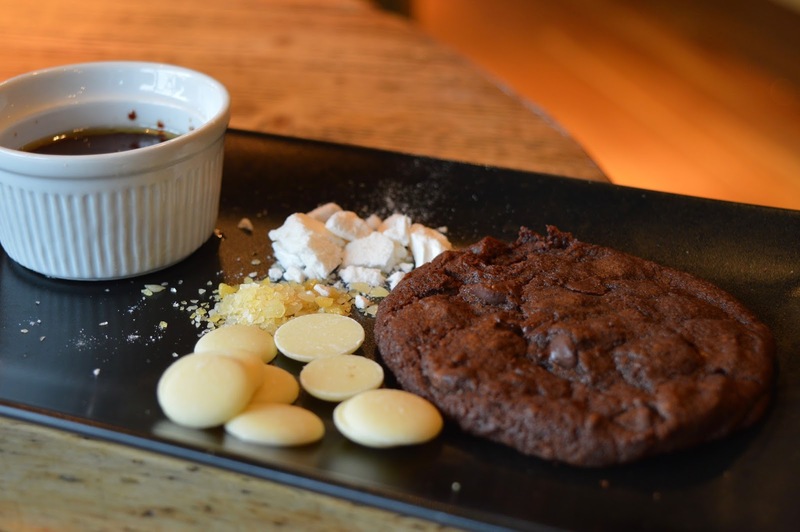 OK so I did have room for a quick nibble of Jack's cookie! 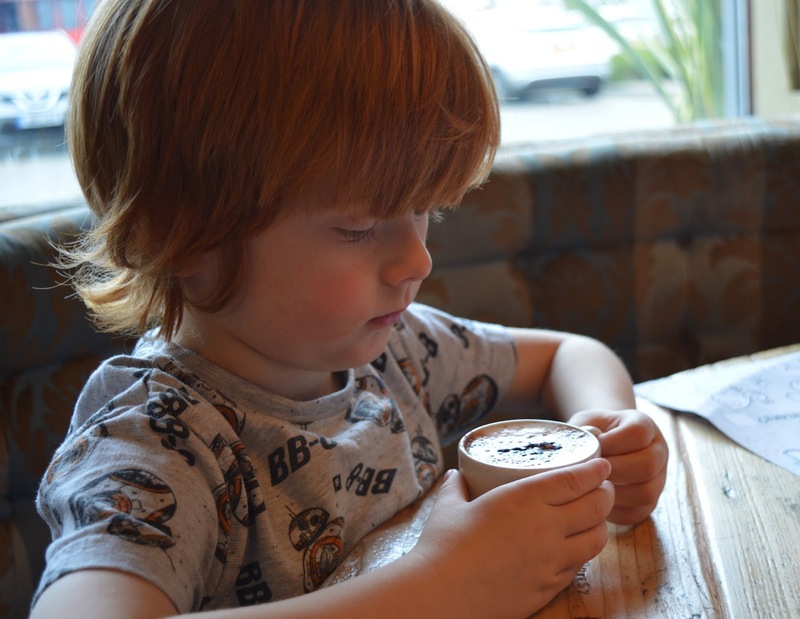 Our family Sunday lunch at Liberty Brown was pretty perfect. 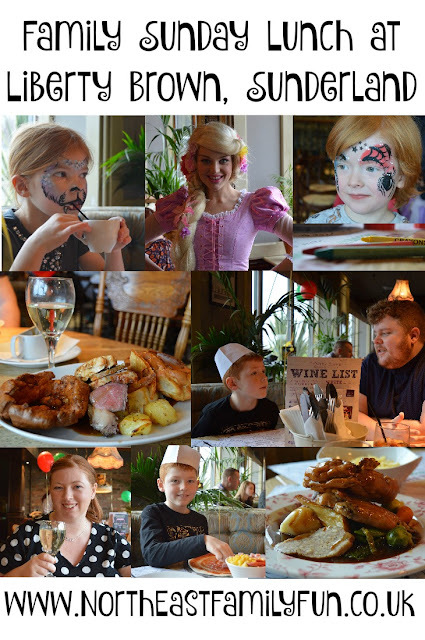 It wasn't any more expensive than any other pub Sunday lunch but in my opinion, the added extras of kids club plus the fact that lunch was local and homemade make it one of the best places we have dined together as a family. Sunday's are popular and reservations are recommended. Wow! 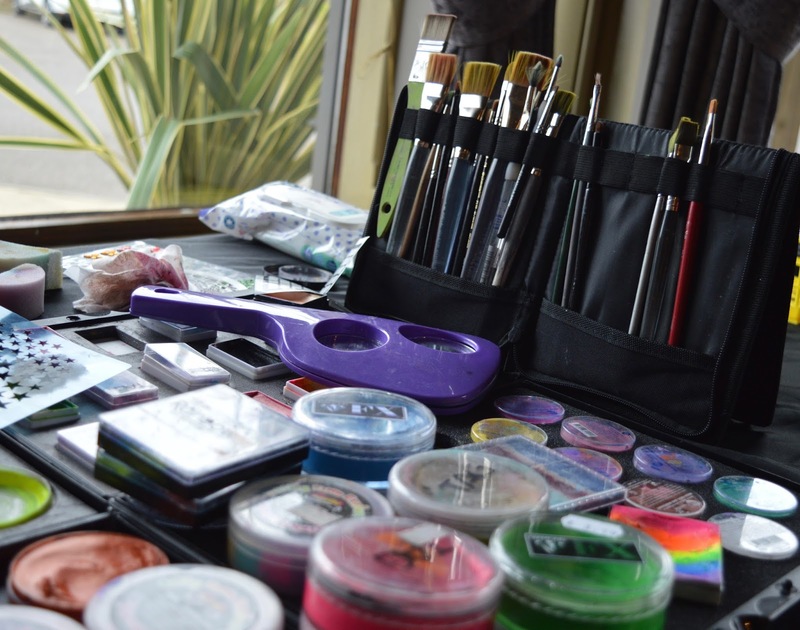 What a great place .. please tell me they do face painting for adults! 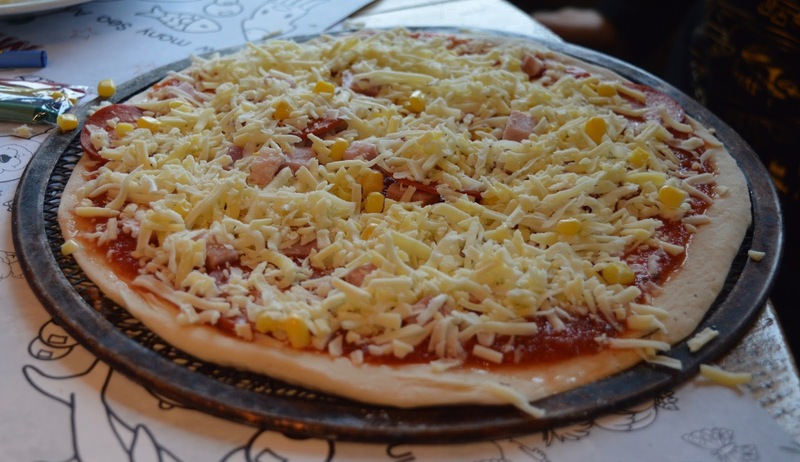 I may have to take the family to visit one day and soon and I'm very tempted to make my own pizza. Always enjoy finding out about new places to visit. Ooh, this looks lovely, part of the Apartment Group aren't they? Must see what it's like for a grown up dinner.